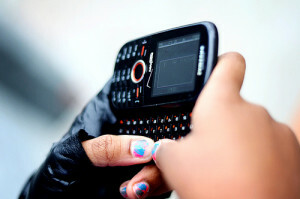 Can schools take cell phones? Your school may be able to take your cell phone and hold onto it for a certain amount of time depending on your school’s rules and policies. Look at your Student Handbook and your school’s Acceptable Use Policy (“AUP”). 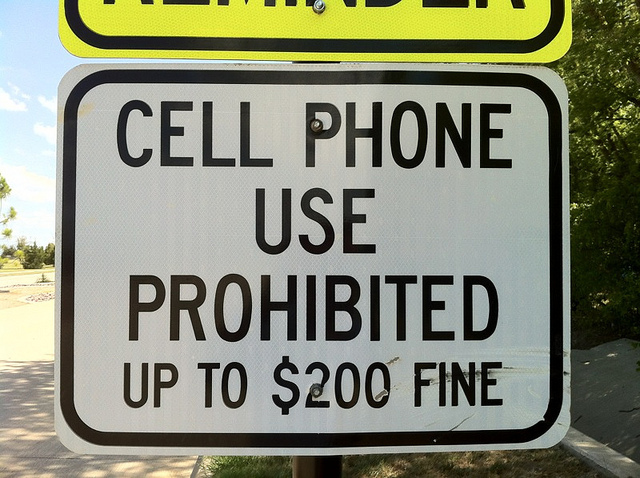 It should clearly spell out the rules concerning cell phones and other digital devices on campus. Usually if you violate a rule (cell phone goes off in class, etc. ), it can be taken for a period of time. With each violation the penalty increases. Whether they can search your phone is another matter. Can your teacher or principal search your cell phone? Schools do have the authority to conduct searches of students, their phones, backpacks, cars on campus, lockers, etc. if they have what’s called “reasonable suspicion” that either a school rule or law has been broken. So, yes, if reasonable suspicion exists, you can be asked to turn over your cell phone. However, there may be limits as to how far they can go in checking your photos, text messages and videos. If you believe your phone was searched without reasonable suspicion and in violation of your rights, talk with your parents about this. They may want to schedule a meeting with the teacher, principal or even the superintendent to straighten out the matter. If a meeting does not help, consulting with an attorney who practices school or education law may be necessary. What exactly is “reasonable suspicion”? Teachers, principals and school officials are not held to the higher standard of “probable cause” because they are not law enforcement officials. Reasonable suspicion means more than a hunch that you′re up to something unlawful or are about to break a school rule. Based on a totality of the circumstances—time, place, activity, your school record, age, and source of information—the search may pass the reasonable suspicion test. For more information about reasonable suspicion, read about the landmark Supreme Court opinion New Jersey v. T.L.O. that involved the search of a student’s purse. Can anything on your phone be used against you? Can you face criminal charges for your texts, photos, videos, etc.? If evidence of criminal activity is found on your phone, schools may turn this over to the police who will conduct their own investigation. Charges may be filed depending on the outcome of the investigation and evidence from the phone (texts, etc.) can be used in court so long as the search of the phone was lawful and did not violate any rights. Can private schools search cell phones without having reasonable suspicion? Private schools that don’t receive federal funds may have different rules that may be legal under the laws of the state where it’s located. So, rules regarding cell phone searches and even confiscation when a school rule is broken may be legitimate. It’s critical to know the school’s cell phone rules and policy at the beginning of the school year so students are aware of their rights. Is it possible to get your phone back sooner? Some schools have policies of holding onto phones for as long as a month or even longer when there’s been a violation of the school rule. If your school is holding onto your phone for a long period, ask your parents to schedule a meeting with the principal or vice-principal to discuss the situation. A calm discussion with the powers that be may be successful especially if it’s a first time violation. My principal took my phone for being on it in the gym before school started. A little after school started he then called in a student and started questioning this student on why he commented on a Facebook post. The Facebook post was my own, and the student had commented during school hours but hat student wasn’t at school at the time. This leads me to believe my principal was either on my phone or trying to get on my phone. What are my legal rights??? Also I have never had issues with the law, so that’s not a factor. Dear Ashlynn: You do have rights when it comes to your cell phone and other digital devices, whether at school or not. However, these rights are restricted in the school setting. 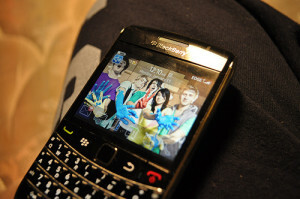 That means if you violate a school rule regarding the use of your phone, for example, there could be consequences. Take a look at your Student Handbook for the rules and policies about devices on campus or at school events. Schools are authorized to take action when rules are broken, and that can include confiscating your phone, tablet, etc. As far as looking at your phone, if a school official has what is called “reasonable suspicion” that either a law or school rule has been broken, they can conduct a search of your device with or without a search warrant depending on the circumstances. Good luck. Since attendance at a public school is mandatory and the school requires signature of a personal device policy and Acceptable Use agreement or my child can’t receive her electronic text book (there are no paper textbooks). The paper feels mandatory however, I have made changes to the agreement and have decided to return it signed. The middle school had crazy stuff like ‘physical affection will be disciplined.’ I added “inappropriate” before physical affection. They also had ‘students may not use cameras.’ I added ‘except at graduation and class trips with teacher permission’. i also added that they could not ‘search my child without me present.’ My question is – As a parent can I make changes and expect those changes to make it clear that I don’t agree with the unedited document. Regardless of whether they like it or not, I just want to reserve my rights even if, most likely, this will never be an issue. Dear Victoria: Yes, you may make the changes and it may be best to initial next to each change. Whether or not the school administrators will accept your chances and also sign off on it is another story. If this is a serious issue for you, perhaps you could request a meeting with the principal or vice principal to discuss these matters. Good luck. someone help / is it okay for a teacher to take away during PARCC NM testing? even though I was done and most students were. I wasn’t even on my phone. it was just in my lap. Dear Joni: Take a look at the school’s Acceptable Use Policy about digital devices at school and school events. You can find the written policy in your Student Handbook or on the school’s website. If it’s still unclear, ask the vice-principal or a counselor about this. Good luck.